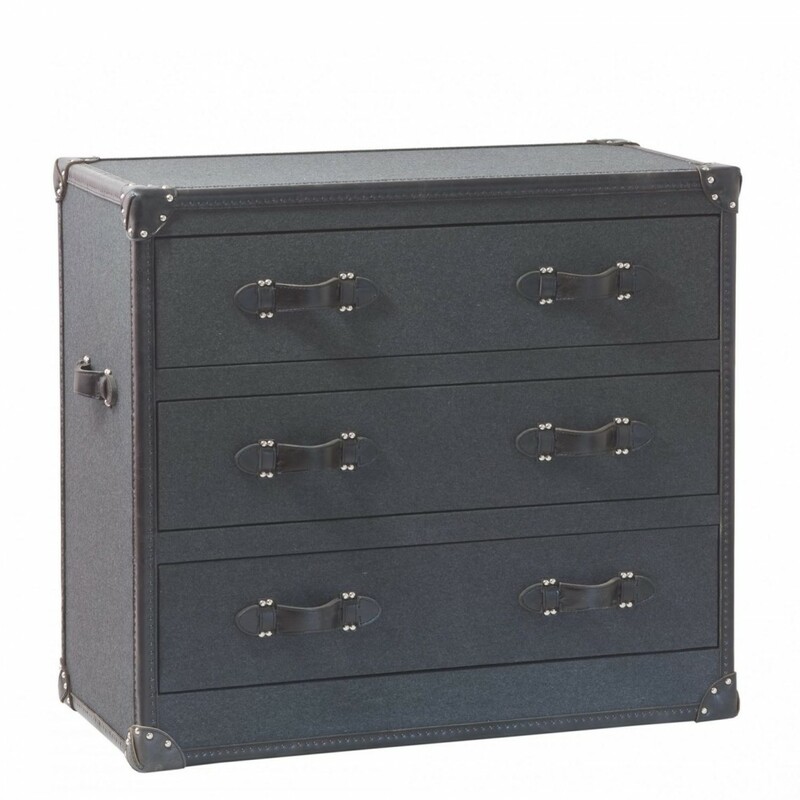 An Andrew Martin three drawer chest, upholstered with charcoal grey wool, with black leather handles and trim punctuated with a chrome stud detail. This beautiful Andrew Martin chest of drawers in charcoal grey wool. It comes with soft black leather handles and trim with metal stud detailing.